Schedule is Saturdays from 9:30 am to 4:30 pm. Duty Officer to start in September 2018. 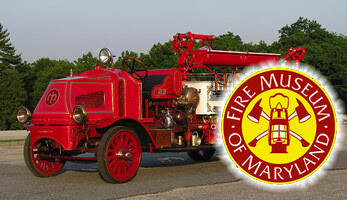 About the Fire Museum of Maryland: The Fire Museum of Maryland is in Lutherville, MD and was established in 1971. The museum’s mission is to educate the public about the history, technology, and innovation of the fire service through a unique collection of operating apparatus, memorabilia, and programs. About the Duty Officer Position: The Duty Officer is responsible for the operation of the museum every Saturday when it is open to the public. The incumbent will be a level-headed and responsible key holder. They will be responsible for the opening, security during open hours (10 am to 4 pm), and the closing of the building. They will often serve as the face of the organization and must be comfortable speaking with the public. Ensuring the museum’s collection is safe during open hours. Welcoming visitors, introducing the museum and interpreting the history and technology of the fire service. Learning details of the museum’s buildings (i.e. electricity and water shut offs) in order to respond to emergencies. Learning the duties of the other Saturday staff members to temporarily relieve them. Preparing Saturday’s income for a bank deposit. Experienced in managing a small staff during interactions with the public. Comfortable with public speaking, particularly to audiences of children and families. Familiar with the fire service. Experienced in operating a computer and/or cash register. Employees can gain additional hours staffing special events and rentals. Employees can also participate in parades and community events where the museum takes engines. To apply, send a cover letter and resume to the Fire Museum of Maryland’s Director, Steve Heaver at sgheaver@firemuseummd.org by Friday, August 31st.